We are a team of techies who believe in the power of technology to make the world a better place. There is currently no objective truth about the overall impact of smartphones on our lives. That's why we think it's important for everyone to start having the conversation now about how their phones make them feel. As technology becomes more pervasive, it will be more and more important for people to be conscious about how they are using it and how it is affecting their lives. Georgie Powell is CEO and co-founder of SPACE. She feels that it’s her responsibility to use technology for social change. Her wake up moment was when she became a new mum, glued to social media and not feeling great about it. Nupur Kapadia is our iPhone developer and co-founder of SPACE. She's married to Mrigaen. Together they realised it was time for a little less digital and a little more personal in their relationships. 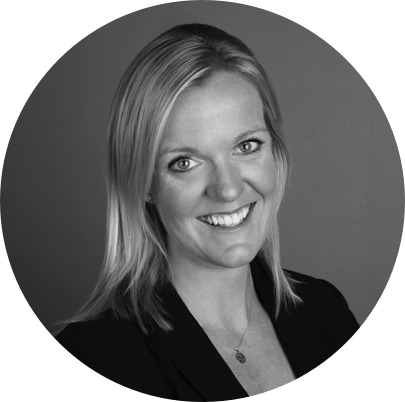 Annie Baxter is our CMO and co-founder of SPACE. She has a passion for using technology for good. She’s fascinated by behaviour change, and has a strong interest in mindfulness and meditation. Mrigaen Kapadia is CTO and co-founder of SPACE. He's dedicated to apps that make life easier, and, along with Nupur created BreakFree, the app behind the SPACE programme. Media entrepreneur, company director and philanthropist Deanne has more than 25 years of experience in media and communications. A former corporate lawyer, Deanne is an experienced and globally recognised leader, strategist and communicator, with a deep interest in how new forms of media affect business and society. Deanne's company WeirAnderson.com has invested in several Australian growth companies, leveraging new and disruptive communications technology to reach and engage global audiences. From online publishing, television and multiplatform media production, to global innovations in speech to text services, Deanne has been privileged to work with some great Australian innovators. Along the way, Deanne has also pursued her passion for supporting Australian stories, and has used her influence and resources to improve the lives of women and girls in our community. Jan is CMO of Motorola, a Lenovo company. Under his leadership, Motorola has embarked on a journey to help people achieve better phone-life balance. As the mobile phone inventor 45 years ago, Motorola has a vested interest in how smartphone technology is used and with a focus on the real needs of consumers, is developing solutions to make a better phone-life balance a reality. Before joining Lenovo in 2012, Jan held marketing leadership roles at Hewlett Packard and Procter & Gamble. He earned his PhD in Polymer Chemistry from University College Dublin, and now regularly guest lectures at top business schools, such as ESCP Europe. Jan lives in Paris with his partner, together they have five children. Michelle is a postdoctoral researcher in digital health at the Nuffield Department of Primary Care Health Sciences at the University of Oxford. She is also an associate editor for the SAGE journal DIGITAL HEALTH and honorary research fellow at the Imperial College London Global eHealth Unit. Michelle previously worked as Health Technology Assessment (HTA) Lead on technology appraisals for NICE at The BMJ Technology Assessment Group. She obtained her PhD in mobile health from Imperial College London, and her undergraduate degree in Biomedical Sciences and MSc in HTA from Radboud University Nijmegen in the Netherlands. We are in the process of building out this Advisory Board and are seeking two further individuals with experience in: start-up, funding, behaviour change, ethical business and digital. Contact us if you are interested.